The new John and Mary Brock Football Facility, situated in the middle of the Georgia Institute of Technology’s (Georgia Tech) 400-acre campus in the heart of Atlanta, Georgia, is about the size of a small aircraft hangar. 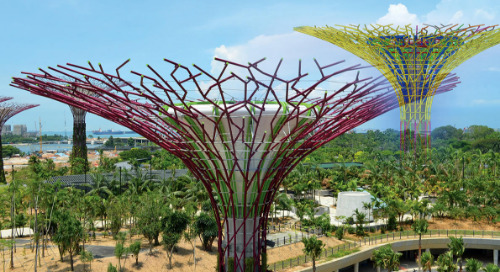 Few would believe that a year ago the 345-ft x 229-ft x 65-ft structure was in the early conceptual phases. Teamwork and BIM helped complete the John & Mary Brock Football Facility ahead of schedule. At the time, Georgia Tech officials challenged the construction industry to come up with a way to complete an indoor football practice facility by July 31, 2011—just 9.5 months after project go-ahead and in time for the Yellow Jackets to prepare for their much anticipated 2011 season. Georgia Tech selected the design-build team of Barton Malow Company (construction manager), May Moeller Purcell Construction Company (general contractor) and Knight Architects, Inc. (architect) to meet the challenge. 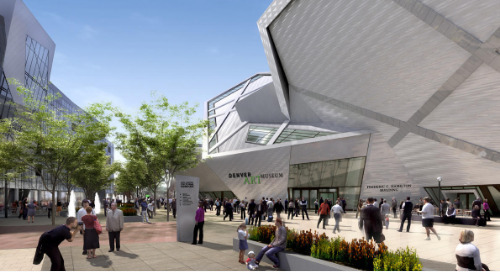 The approximately 80,000 sq ft structure would require 590 tons of structural steel and 74 tons of rebar to construct the metal, masonry and translucent panel system. The project team’s first strategy to meet the schedule was to overhaul the approval process. The approval processes at universities are quite different from those in other construction sectors. 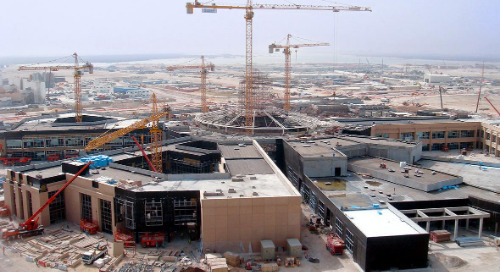 At the initial kick-off meeting, the construction manager, general contractor, architect, structural engineer (Walter P Moore), steel fabricator (Steel Fab) and structural erector instituted a weekly project memorandum process that informed the team of the project’s progress and made each member accountable for their individual activities. 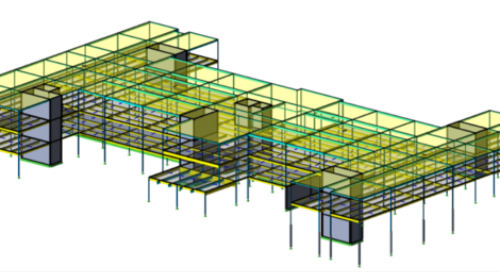 The team also chose to implement Building Information Modeling (BIM) tools including Tekla Structures (for structural team members), Tekla’s Construction Management solution (for the general contractor) and Tekla BIMsight (for all team members) for review and approval process over traditional paper-based or even PDF review processes. The most critical component to the schedule was the manufacturing and delivering of the structural steel and rebar. Steel was the longest lead item, thus having the greatest impact to the schedule. 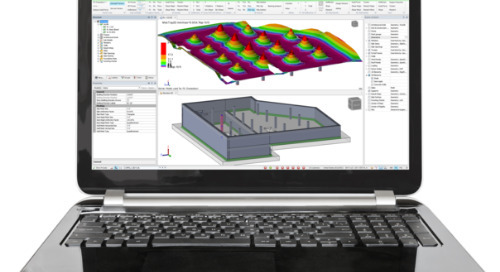 In the past, steel design-to-manufacturing processes were laborious with paper-based or PDF reviews, delayed communication and slow turnaround times. 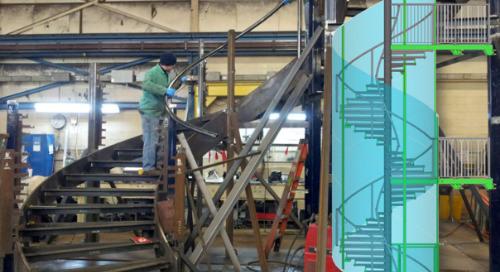 On this project, the structural engineer modeled the steel design in BIM, then refined it with the steel fabricator through a model exchange, which drastically reduced review and approval time. The structural engineer and steel fabricator were able to review and make changes to the design in the model. The constant communication continued until design was approved in mid-January. As a result, only 11 weeks elapsed from steel design to steel on site. This process proved so successful that the team extended it to other aspects of the project. 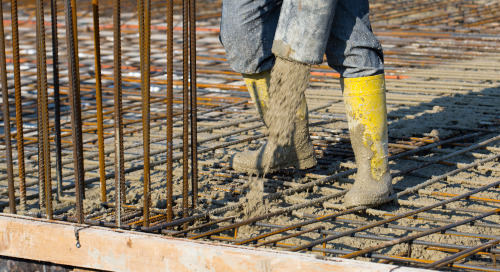 BIM was used to review cast-in-place concrete and rebar in the same way. 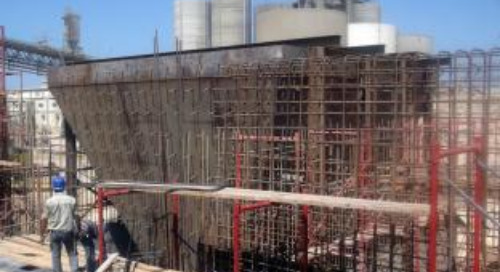 The team also opted to contract the rebar detailing separately from rebar fabrication. This allowed rebar detailing to begin prior to letting the rebar fabrication contract—another win in the efficiency column. 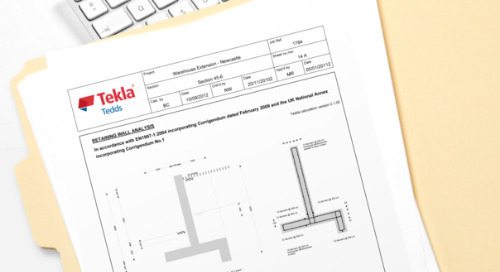 The successful separation and subsequent schedule gains were made possible through the efficiency and transparency of Tekla’s BIM solutions. 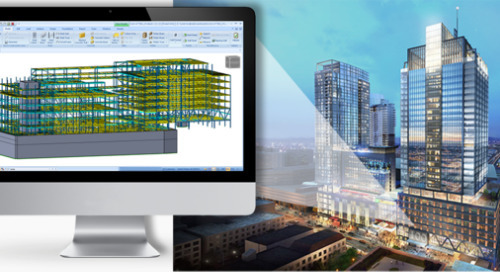 “For us, BIM is not a 4D simulation tool that we use for marketing. It’s a project tool used to understand and make decisions based on real project information,” says McFadden. 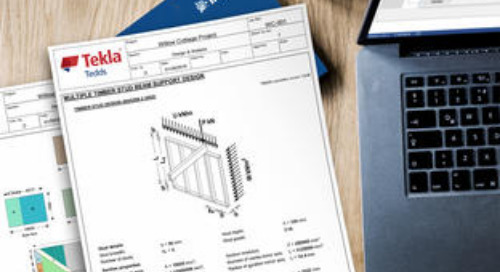 For design clashes that could not be solved using in-place coordination and clash prevention principles, the team used the Tekla BIMsight automated conflict detection tool. Tekla BIMsight is easy to use and free, making coordination a snap. “Tekla BIMsight played a big role on the rebar side of things,” says McFadden. “Rebar shop drawings are inherently hard to read and understand. 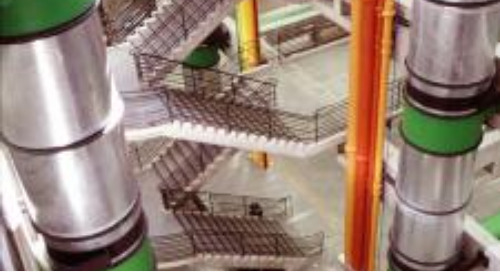 Tekla BIMsight made this problem go away.” In situations where the ability to visualize project information was crucial, the team relied on Tekla’s Construction Management solution including project tracking tools. The Tekla Model Organizer, a part of the Construction Management module, was used to generate visualizations of project information (phasing, sequencing, material type, construction type, etc. ), on the fly to speed the decision making processes. 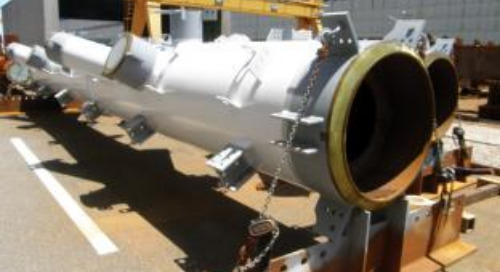 “In the end there was only one clash—a storm pipe (not included in the BIM process) with a foundation, and one installation problem—an anchor bolt in the wrong location. From a schedule standpoint, this was a huge victory,” recalls McFadden. 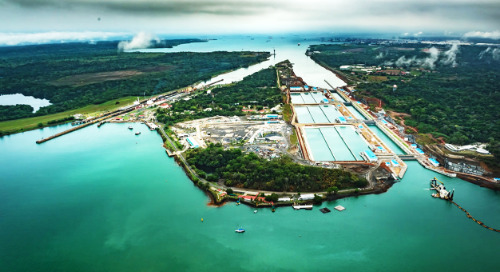 Early on in the design and pre-construction phase of the project, the complete schedule was imported into Tekla’s Task Manager, a part of Tekla’s Construction Management module, and connected to the combined project BIM model.  Because Task Manager is based on real schedule information—both planned and actual—and quantities derived from the model, the team was able to discern the general analysis and feasibility of the schedule in real-time. All schedule updates were completed in the Task Manager and used to generate two-week look-ahead reports on the fly. McFadden says, “We did not have a single subcontractor meeting. 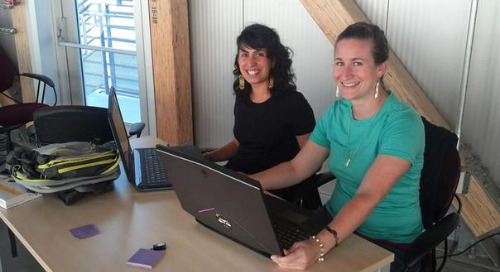 Collaboration was so fluid and dynamic that it wasn’t required. The ability to coordinate where you model is a differentiator.” The entirety of structural steel delivery process, from design through approval, was completed from December 1, 2010 through January 14, 2011 without printing a single piece of paper. The modeling and communication process was so successful that the team extended it to the cast-in-place concrete. Teamwork facilitated by BIM across all disciplines was the key factor in the project achieving material completion 12 days ahead of schedule. Once the indoor facility was constructed, the project team presented Georgia Tech with the building information model, which included links of the handover documents (warranties, O&M manuals, etc.) to the related objects in the model. 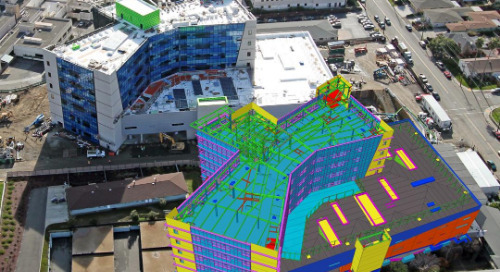 They linked the traditional handover documents to the related objects in the Tekla BIMsight model using Tekla BIMsight’s document linking capability, which gave Georgia Tech the option to make building operations as smooth as construction. Just as when the project started, it concluded with new technology and improved communication. McFadden says, “We’ll continue to build on the lessons learned on this project and others that incorporate BIM tools and practices. 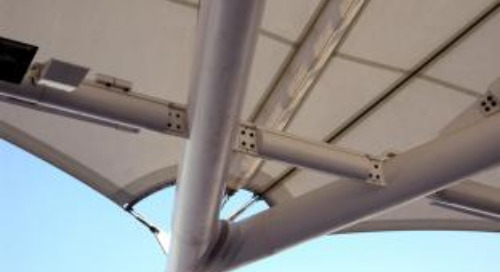 In particular, we’re looking to see BIM applied to aspects of the construction process that aren’t traditionally modeled.” For instance, McFadden believes there is potential for time savings in civil piping, drywall, masonry and metal panel and soffit framing systems.